Creating a full backup of a partition or hard drive is essential for quick restoration whenever Windows starts acting up or slowing down over time. This saves you the trouble and time of having to manually install and configure Windows and third party applications. Other than that, you have to go through the hassle of re-activating Windows through telephone if the license key that is acquired via retail purchase has already been activated more than 5 times. There’s quite a number of third party disk imaging backup software applications such as Macrium Reflect, Aomei Backupper, Clonezilla and System Image Backup from Windows that are available for free, but we will be taking a look at EaseUS ToDo Backup Free which is currently ranked #9 in CNET’s Download.com under backup software category. EaseUS is a company from China that is well known for its disk partitioning, data recovery, backup and transfer software. Different versions of EaseUS ToDo Backup such as Free, Home, Workstation, Advanced Server, and Technician with different pricing and features are available to cater to different markets. 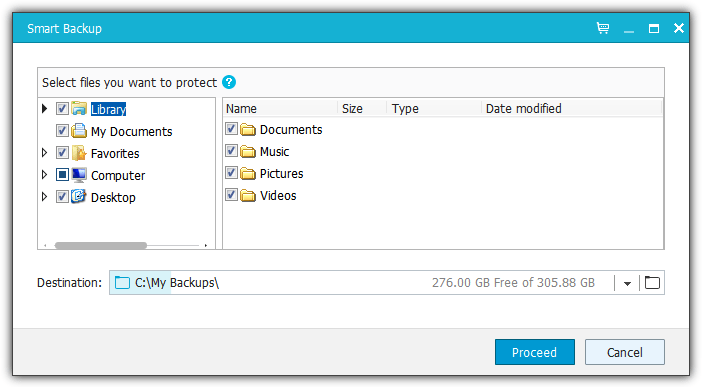 Obviously only the Free version of EaseUS ToDo Backup doesn’t cost a dime and is meant for personal use. In simple terms, EaseUS ToDo Backup Free allows you to backup, restore and clone. You can either backup the whole hard drive to an image file so that it can be used for restoration, or even selectively backup a partition and save the image to the same hard drive. Backing up of files and folders is also supported. As for cloning, you can either clone a hard drive to another hard drive or partition. Backing up is as easy as clicking the Disk/Partition Backup button, select the disk/partition to backup, choose the destination where the backup image will be saved to and click the Proceed button. Additional options such as scheduling, image preservation strategy, backup compression, splitting, encryption, and performance by setting the priority and network transfer speed are available in backup. The same options can be found for File Backup and also System Backup. The System Backup option is just a simple two step option to quickly backup the partition where the current operating system resides in. 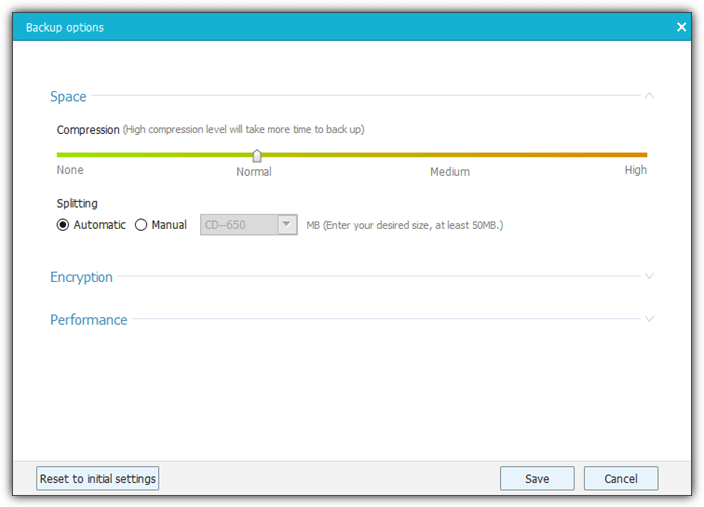 Smart Backup is a feature worth noting because it automatically creates a backup every 30 minutes when it detects changes to the monitored files or folders. This way you can sort of “protect” folders containing files that are frequently updated. Do take note that the 30 minutes interval is fixed and cannot be changed. The Tools button offers a wide range of useful utilities. The most important tools that you should check it out are the Create Emergency Disk or Enable PreOS. Both of these features do the same thing which is allowing you to run EaseUS ToDo Backup Free without booting in to Windows. 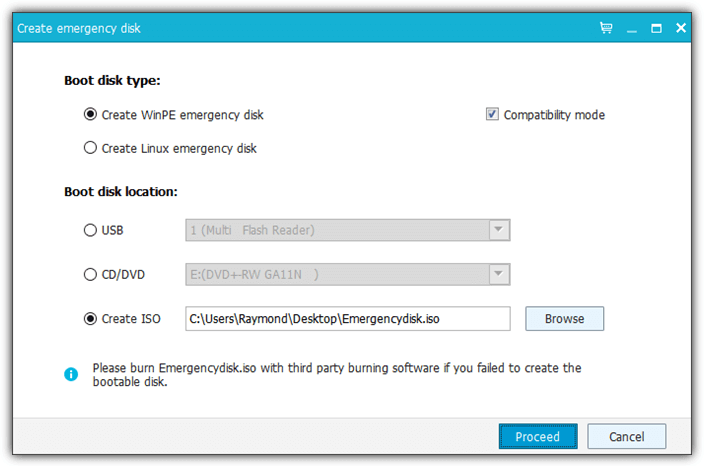 The Emergency Disk creates a CD/DVD/USB which can be used to boot up a system to run EaseUs ToDo Backup while the PreOS option adds an entry to the Windows boot menu to conveniently run EaseUS ToDo Backup without relying on an external bootable media. 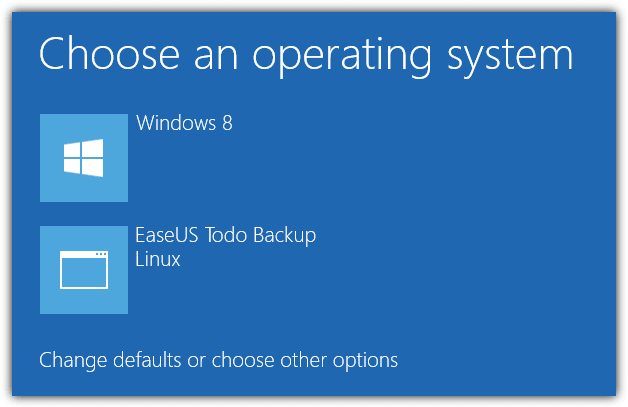 Although EaseUS ToDo Backup offers both a WinPE and Linux emergency disk, you should always use the WinPE version because the Linux version of ToDo Backup can only perform restoration and cloning. As for the WinPE version, it has better device driver support and nearly all the functions such as backup, wipe data, check image and etc are available. The Windows PE emergency disk ISO image file is 325MB in size while the Linux version is only 53MB. Additional features such as wiping data to prevent data recovery, image checking, mounting/unmounting a disk image, and initiating an iSCSI drive can be found in Tools. 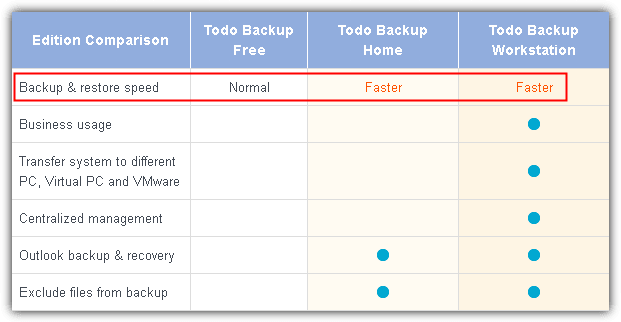 On the official EaseUS ToDo Backup download page, you will find a comparison table that shows the difference between the Free, Home and Workstation versions. It shows that the free version only achieves a “normal” backup and restore speed, while the paid Home and Workstation gets a “faster” speed. We would like to know if this statement is true whereby paid users gets a faster backup/restore speed or if it is just a marketing gimmick. So we’ve tested both Free and Home version of ToDo Backup by creating a backup image of a partition and comparing the backup speed. 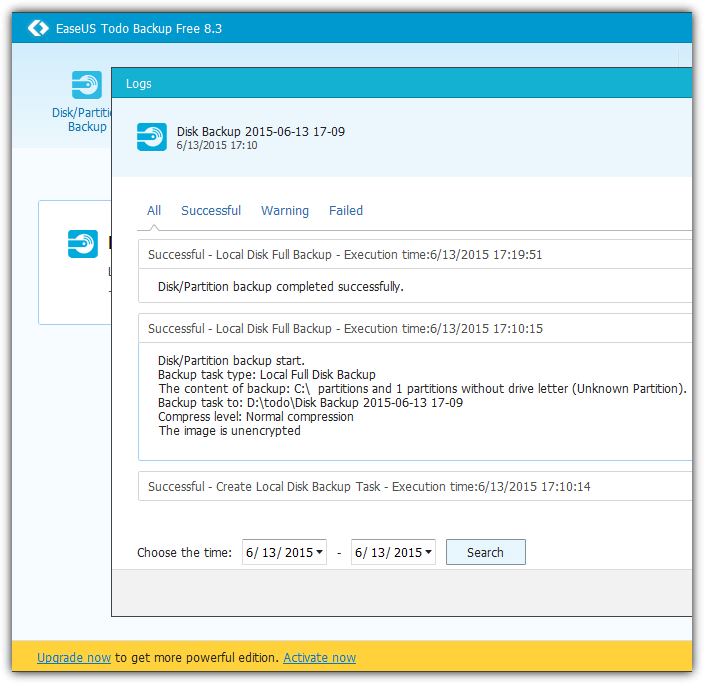 The screenshot below shows that the Free version of EaseUS ToDo Backup takes 9 minutes and 36 seconds to complete a backup. The Home version that cost $29 for a license took 10 minutes and 2 seconds to complete the same backup. As you can see, the difference in backup speed between the Home and Paid version is merely 26 seconds. This clearly shows that they share the same backup engine that gives the same results. In terms of features, the paid version offers more benefits such as the ability to backup/restore Outlook emails, email notification, pre/post-command, offsite copy, event-based schedule backup, file exclusion, pre/post commands and technical support. Do note that the ability to restore an image to another different PC with dissimilar hardware is only available in the Workstation edition. 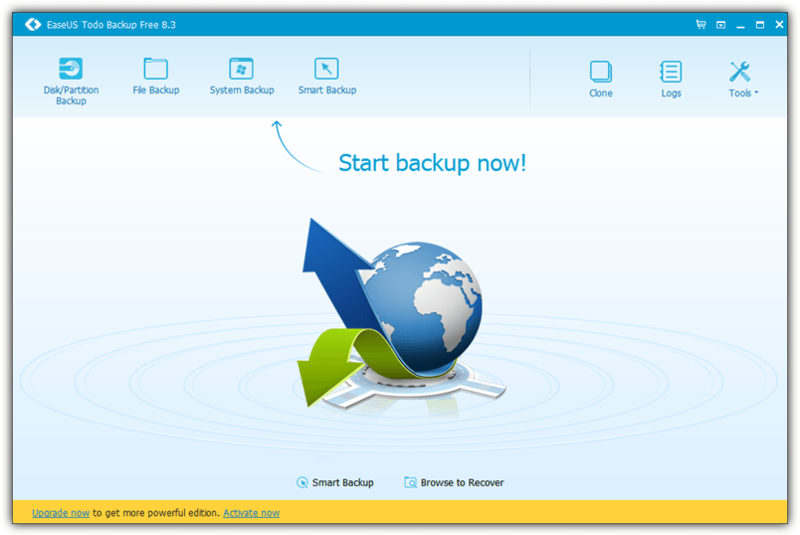 Closing Words: Despite the somewhat dubious advertising claims regarding the difference in backup and restore speeds, EaseUS ToDo Backup Free is very user friendly and anyone can use it to create a full backup of their PC. Moreover, the ability to create a bootable emergency disk based on the latest WinPE from the Free version of ToDo Backup increases the value of this program. * The window showing existing backups only shows four entries, need to scroll for more complete list, even though there is easily space to show 15-20 entries! * “Delete image” DOES NOT delete the folder created by Todo backup! * Difficult, but not impossible, procedure to specify network folder (e.g. \\system3\h), takes about 10 minutes of browsing and user/password entry! Can no longer specify “\\machine name”, but have to user IP-4 address instead! and time expended to accomplish what SHOULD be a simple task and program feature. * Alternately (as of version 8.9) click the second-from-the-left icon at the top right, click settings, and enter the address normally in the address bar at the top (not by browsing). However, this does not delete older entries for network password and location list. * Very poor and uninformative progress indicators and E/T estimates. * Unnecessary and undesireable folder creation for backup data set. It’s useless and confusing and redundant to have a folder and file with the same name, when I want to store my backup files in an existing folder. * Inconsistent folder creation. If Destination is (e.g.) “G:\”, Todo puts the backup folder in “G:\”. But, if Destination is “\\system4\g”, Todo puts the backup folder in “\\system4\g\\! * Confusion between Partition and File Backup, and no documentation to explain differences. In fact, experience shows them to be identical, except that Partition allows entire partition to be backed up OR selected files. Both appear to allow restoring individual files. * No “job” feature, so we have to re-enter the same information each time we run a backup, which invites errors. Of course, you can click an existing “backup” and it will re-run it, but it will also overwrite the previous backup file, which is NOT desireable. * Apparently no catalog, since it takes as long to restore a single file as a partition! (This appears to have improved with 8.8, which took zero seconds to restore a single file). * Documentation is useless. So is forum, and (illiterate and incorrect) answers given by staff. No “support” for “free edition”. * Very poor English in installation, etc. dialogue. * Ties up external HDD so that we cannot “safely remove” it without cancelling various EPM processes. This seems to be fixed as of Version 8.6? * Pre-OS takes “forever” to load and terminate, with no progress-indicator to indicate it is active. * Version 8.8 changes the disk backup folder name from “Disk Backup yyyy-mm-dd mm-ss” to “Disk Backup”, “Disks Backup”, “Partition Backup”, etc. 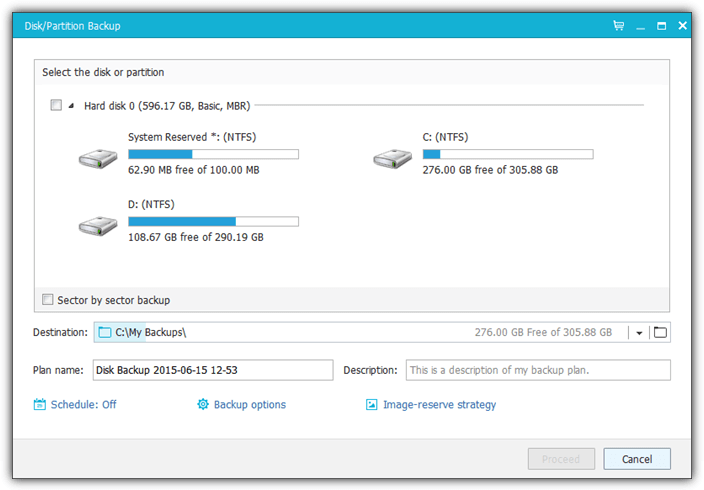 (depending on what is selected for backup), removing the essential date and time element. This entire design seems to assume a person is only going to make a single backup, rather than daily or weekly backups. At the same time, it changes the disk backup file name from .pbd to yyyymmdd-full.vh1.pbd,which is overly lengthy, and meaningless, since a new folder must be created for each backup, or you lose the previous file! This was obviously designed by an idiot. * All versions do something to network so I have to restart the W7 server after the W10 backup runs. Similarly, they do something to hang up the USB3 drive, so it cannot be “safely removed” without rebooting. * On 11/14/2015, running version 8.9 resulted in “download 8.9.0.1” message, but when I downloaded it from the website (so I wouldn’t have to download three times for three machines), I got 8.9! Downloading from the programs (three times) did get 8.9.0.1. * There is nothing on the website, or on the downloaded file, to indicate what the current program version is! The only way to tell, is to install it. Even then, there is nothing to distinguish 8.9 from 8.9.0.1, etc. * Cannot restore Hard Drive 0 (Recovery and/or C:\ partitions) from Windoze 10 Home 64-bit on HP Laptop with EFI Bios (and GPT). Receive misleading error message saying cannot restore using Linux Emergency Disk, and to Create WinPE Disk. “Support” says to create WinPE disk, but doesn’t mention that you have to use it. Yet, somehow I ran a restore previously! Apparently, the “Pre-OS” used for restoring the boot partition is the same as the Linux Emergency Disk? * Linux Emergency Disk won’t restore GPT partition (as ~documented), but it will restore all my other systems. * A WinPE Emergency Disk created with WindoZe 7 (without download WinPE from M$) will work with Windoze 7, but will NOT work with Windoze 10 Home 64-bit on the HP Laptop, because the USB mouse and removable drive aren’t recognized! However, the WinPE Emergency Disk created with Windoze 10 (with download from M$) works on W7 and W10. Interestingly, the ISO is also much smaller. * Emergency Disk DVD takes forever to load (with no progress or busy indicator). Booting from USB instead of DVD takes much less time. thanks ray, now i can buy a larger hard disk and restore vista sp2 settings on it!!! Thanks, will try it !!! Sometime ago I used a free tool from Easeus to delete partitions off the HD, I just don’t remember its name..
hi raymind, its a useful s/w ,thnq. Thanks Raymond for the review. I’ll definitely try it out. So glad you posted this, I just bought an external hard drive and was deciding whether I needed software like Norton Ghost. Not anymore! Thanks. Thanks Ray but i prefer Macrium Reflect FREE Edition,which works on Win7…!!! This is a good backup software. I was looking for alternative of Norton Ghost and Acronis True Image for a long time. Maybe this is what I need. I’ll try. Thank you very much for this post. This is a very useful software. Usually I try all the softwares I see and surely this will be very useful for me to restore my C drive if something goes wrong. Today I searched your blog to get details about data recovery softwares for my friend, whose HDD crashed. I will refer this s/w also to him. tonnes of thanks raymond dear……. Nice article as always Ray!